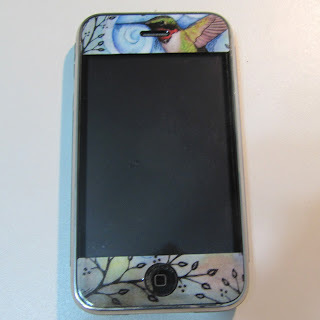 I wasted half an hour last week playing around with one of my bird journal scenes as a skin for my iPhone. The square format didn't really work, so I pasted on a fragment from another page at the top. 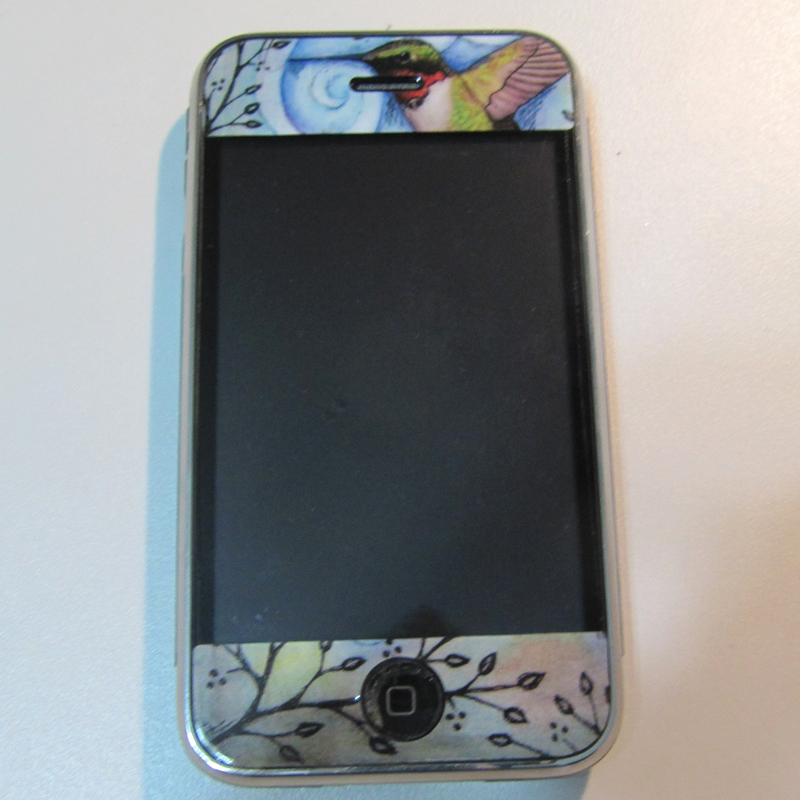 I uploaded it to SkinIt, moved it around in their program until it fit the way I wanted, and then they printed and shipped it the next day. Fun, no? Of course, I set this same image as my wallpaper as well. Now it's truly one of a kind. Wow I love that idea, definitely fun! Vickie - this is probably the most beautiful skin I've ever seen - wow!!! Thanks for sharing! (even on an i-phone skin). appropriate and elegantly sublime way! Well, I doubt I will be as eloquent as your previous posters, but this is wonderful! I think it was a great use of time! So very beautiful and personal! Very cool Vickie! I love it! Your work and clever ideas make my heart sing! 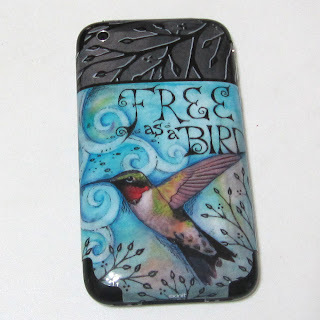 Tweet, tweet, chirp, warble... ;-) Absolutely fabulous!